Cover photos seem to be all the rage in social media these days. The large photos (or branding opps as we like to think of them) have been making their way onto the scene as platform after platform is adapting this look. Starting with Facebook and their new Timeline feature, then unleashed with the launch of Google+, and popping up on the company pages for LinkedIn, cover photos are becoming industry standard. 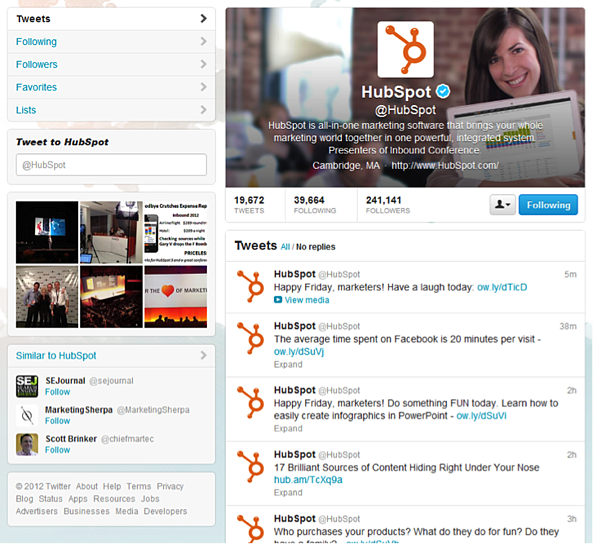 And to further this giant photo craze, Twitter has changed the look for their profile to feature a cover photo. 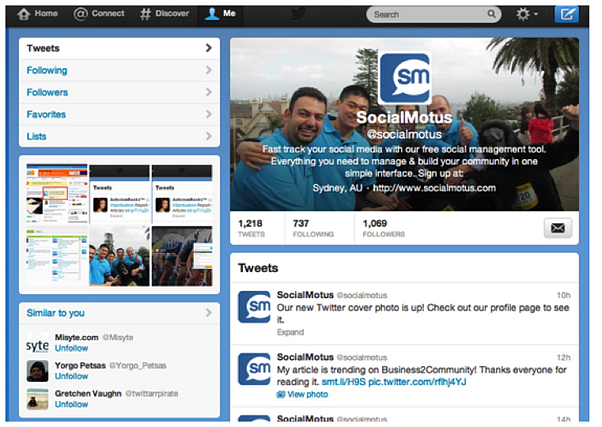 And now is the time to take advantage of this switch and create your own custom Twitter cover photo! For most users, these photos are purely aesthetic, but for companies and marketers, these are the perfect opportunity to brand your online presence. Pictures speak louder than words, so these photos give you the chance to make a lasting impression with your customers. 1) Log in to your Twitter account. Click on the gear icon in the upper right hand corner and select ‘Settings’. 2) From the left menu, choose ‘Design’. 3) Scroll to the ‘Customize your own’ section and select the button for ‘Change header’. Remember to look at the image requirements (1252px X 626px, max size 5mb). 4) Upload your image and position it how you like. You can zoom, move from left to right, etc. Hit ‘Save’ and you’re done! 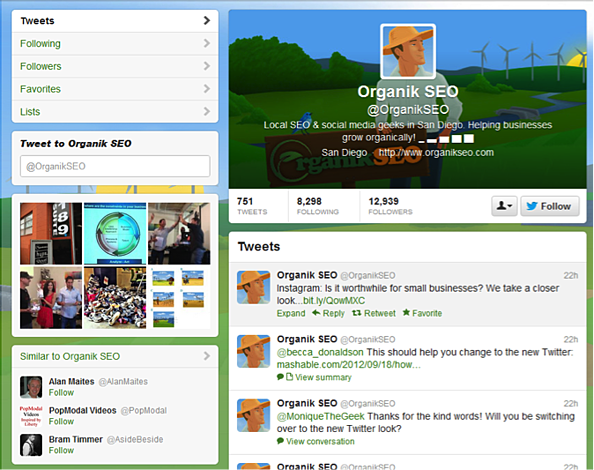 Do you need a little inspiration for your company's twitter photos?